To make beautiful cakes you do not need to become a pastry cook. You simply should know proper techniques and after that practice. Certainly, the appropriate gear will probably be very useful in your cake decorating adventures. Here are a couple of tips you might like to try. 1. To have a smooth icing on your cake and keep crumbs from showing up in the icing, start with a thin bottom coat of frosting. Once this coat is on, put the cake in the refrigerator for 20 minutes. It will set the icing and any crumbs will be caught in this first layer. Now you can place a standard layer of icing without worrying about crumbs. 2. Try an icing spatula to apply and smooth the next coat of icing. Here is one trick. To smooth the top, dip the spatula in cold water and hold it horizontally over the top of the cake. 3. Instead of icing, cake tops can be dusted using powdered sugar. You can select to apply a stencil for a more decorated look, or simply the powdered sugar for a clean appearance. 4. 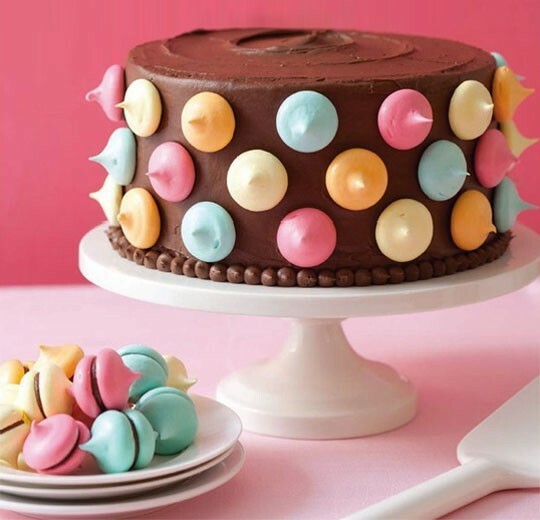 Edible decorations are a great yet easy cake decorating method. Using sprinkles, candy, nuts, and coconut pushed into the icing before it sets, will make your cake stand out. 5. To use a textured look for your cake decorating, use a small cardboard comb, available in baking supply stores. 6. Piping is accomplished by using a pastry bag fitted with a metal tip which is held on by a coupler. It is your primary tool for cake decorating. Using it, you can make words, flowers, and other designs on the top and sides of the cake. 7. Fondant is a smooth white paste, is used in complex cake decorating. Fondant is kneaded and rolled to cover cakes with a sleek smooth layer of icing. Fondant is less tasty than butter cream, but the cake will appear sleek and elegant. To make great cakes like a pro, I suggest you find the cake making course. This manual provides step-by-step instructions and videos. This is the simple to follow course that teaches how you can create a cake from scratch to a beautifully decorated piece of art.